Do you remember tuning into the Mighty Morphin Power Rangers? Each week, Rita Repulsa would have some kind of new bad guy that tried to crush Angel Grove, but the Rangers would inevitably summon the Megazords and defeat them in the nick of time. Time passed and you probably put those memories into the back of your mind, that is, until your little one reminded you of how awesome the Power Rangers are! That’s right, despite being nearly 25 years old, the Power Rangers are still kicking it today. Now, they’re rebranded as the Ninja Steel Power Rangers, who use their knowledge of ninjutsu and Zords to pummel the bad guys whenever they attack Summer Cove (yeah, the location names are still kind of corny). 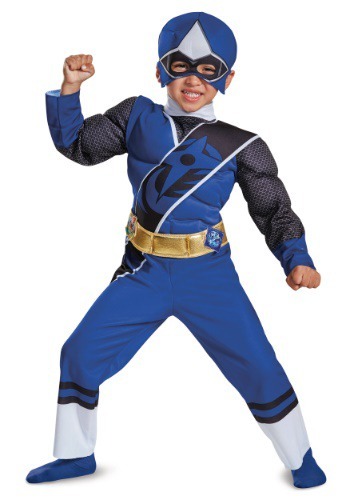 With this Blue Power Ranger Ninja Steel costume, you can give your toddler the transformation he deserves! 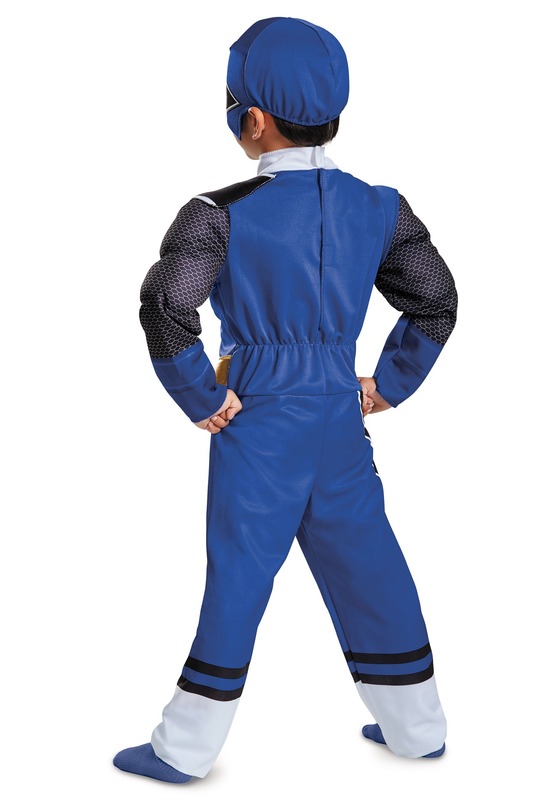 Based on the outfit of Preston Tien, this Blue Ranger costume comes with a jumpsuit that has muscle padding in the chest and arms. It has a blue and black ninja sash attached to the shoulder and it even has a gold belt for additional flair. Of course, no Power Ranger transformation is complete without a mask, so this outfit comes with a Blue Ranger Ninja Steel mask. It’s made out of soft fabric, so it’s comfortable and will have your child ready to battle against Galvanax. All you need to do is gather up a few of his friends to create an entire team of Power Rangers… or you could always check out some of our adult Power Ranger costumes to become a parent and child duo!